Carmel Academy was founded in 1997 by a group of twenty families — spearheaded by Marc Schulman and Amy Erani — seeking to create a community school that would welcome students from all branches of Judaism. 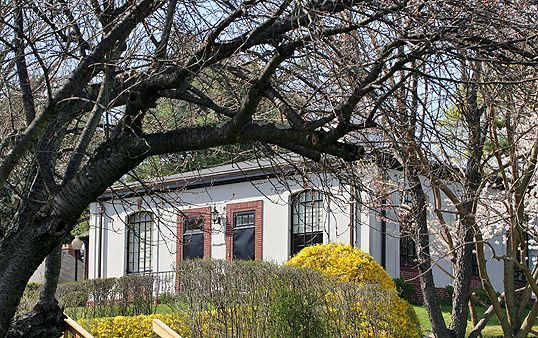 Founded as Westchester Fairfield Hebrew Academy, the school opened its doors in September 1998 with 24 students in kindergarten and first grade. Known as WFHA, the school added an additional grade each year, graduating its first eighth grade class in June 2006. In February 2011, Westchester Fairfield Hebrew Academy underwent a name change to become Carmel Academy. Today, Carmel Academy is home to 251 students. Originally housed at Kneses Tifereth Israel (KTI) in Port Chester, NY, the school moved in September 2001 to Temple Sholom in Greenwich, CT, where it remained until 2006. In the fall of 2006, the school moved to its permanent home at 270 Lake Avenue. The 17-acre historic campus, in the heart of Greenwich, was the original home to Rosemary Hall. The school invested several million dollars in capital improvements which restored classrooms, studios, buildings and playing fields to their historic grandeur, and added the technological advancements necessary for a 21st century education. In the fall of September 2006, the school tested a year-long pilot program for children with learning disabilities, and in 2007 launched its Providing Alternative Learning Strategies (PALS) special education division. The program, the first of its kind in the region, was launched by Bobbie Powers, who led the program until her retirement in 2014. The program is currently headed by Jonathan Holub. In the fall of 2010, the PALS program continued its growth with its first Middle School class, signaling the final phase of its development. Today, PALS is a comprehensive K-8 program. Carmel Academy's first Head of School, Dr. Tova Ben-Dov, piloted the school from its founding until June 2002. Jeanne S. Rice was hired as Interim Director of General Curriculum and Administration for the 2002-2003 school year. In the spring of 2003, Nora Anderson was hired as our new Head of School and proudly leads Carmel Academy today. From its inception, Carmel Academy has been committed to being a Jewish school that is governed by both traditional and egalitarian values. It is a school that embraces a child-centered philosophy; a school that is an extended family, based on mutual respect and trust; and finally, a school that uses the latest educational and technological advances to ensure that the students in its charge emerge with the finest Jewish and secular education. Carmel Academy's professional staff includes master level teachers, each a treasure in his or her own right. The teachers bring to the classroom warmth, a passion for education, charisma, commitment to children and the skills of their craft. Under the talented and passionate leadership of Nora Anderson, the faculty enables Carmel Academy to achieve the school's primary mandate: to create and foster excellence. Carmel Academy: Celebrating 20 Years of Daring!